Switching to safer beauty products has been an on-going journey. It's been a journey for my entire family, and I am really proud of our progress. 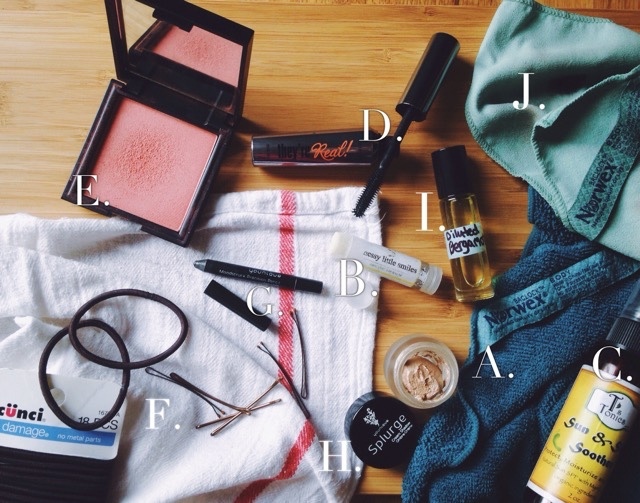 I have been asked to come up with a few of my everyday essential beauty products, and I was so excited to compile a list. My current beauty faves right now consist of chemical-free, safe beauty products that I have been using for weeks now. Every now and then, I like to update my favorite beauty products because I am always finding something new, or rotating my beauty products. I have been thinking a lot about my switching to safer journey, and how easy it really has been! I talk a lot about my journey, and how passionate I am about eco-friendly, and chemical free products, and when I am so passionate about something, it is easy! I am so passionate about avoiding chemicals, and using safer, better products on myself. Okay, so here is my list of my current beauty favorites! With the incredible power of liquid silver embedded into the finely woven fibers, these cloths have replaced my face wash (and body wash for that matter). I have no washed my face leaning over the sink in about a month. It is a little weird to get used to at first, but I love love love the silver technology in these Norwex cloths. Not only have I replaced my face wash and body wash, but my family has replaced our household cleaners with these cloths. The silver that is embedded in the fibers gets into the DNA of microbes and stops reproduction of DNA inside the microbe. The finely woven fibers (that stretch over 1800 miles when unraveled) are like mini scoops that pick EVERYTHING up! Bacteria, dirt, oil, it is far better than Lysol! I will do a more intent post about Norwex here in a couple of weeks, because I am having a Norwex party, and I cannot wait to share all the goodies that I get! Norwex is seriously my saving grace when it comes to cleansing my skin (and home). B. Messy Little Smiles lip balm. Only the best lip balm EVER. I love putting it on before work because it lasts me through my whole shift. It feels so good on my lips, and there is no waxy feeling left on my lips like with store bought chapsticks. I love how amazing all-natural lip balms feel, and this is the only brand of lip balm that I will ever put on my lips. I also love supporting small businesses, and I love that they are on Instagram so that I can see who is behind this cute business. It is the most adorable family, and they are so sweet! I love that they love their customers, I mean, Sarah (the owner) reads my blog from time to time, and interacts with me on Instagram! How neat is that! I love when businesses are on a personal level, and it just makes wearing their lip balm that much better. My favorite scent of Messy Little Smiles lip balm is lemongrass-mint. Oh! It is wonderful! C. T's Tonics Sun & Skin Soother. I have talked about T's Tonics before on the blog a couple of times. I love that she uses all-natural ingredients in her tonics, and that she uses essential oils in her products! It is so light, so moisturizing, and has helped my skin through this Winter time. It smells so nice, like Summer, and it is so calming with the use of essential oils. It is one of my absolute favorite skin care products, and I absolutely love that she makes her products with all natural ingredients. It makes me feel so good about what I am putting on my skin. I also love supporting small businesses and I love that I had the chance a couple of Summers ago (and this past Summer of 2015) to meet T of T's Tonics. D. Benefit They're Real mascara. Yes, yes, I am a part of Younique and I was bashing this mascara before, and giving Younique mascara all the love, but over the weekend, I didn't have the time to use my Younique mascara. I am so particular with my Younique mascara, I just needed something a bit quicker. A while back, I compared the two mascaras, and the gel part of the Younique mascara and the Benefit mascara have extremely similar ingredients lists. While They're Real doesn't give the full-on length and volume that Younique's gives, it works wonders when you only have two minutes to put on your makeup. E. Moodstruck Minerals Pressed Blusher in Sweet. I started wearing blush daily a couple of years ago, and when I found Younique's blush, I was hooked! It lasts all day, and it is a breeze to put on. Just a sweep on each cheek, and you look so rosy and pretty. It is my favorite shade, and it has been a favorite lately! Especially for those days I need fast makeup, this blush works fast, and it lasts all day. It is my absolute favorite! F. Scünci Hair Ties & Bobby Pins. It was time for new hair supplies. I got tired of searching my bags and my hair drawer for a hair tie or random bobby pins. It was so nice to have fresh bobby pins and hair ties. These hair ties have amazing hold! I have a ton of hair, and with just one hair tie, I can whip my hair up into a twist bun, and tie it off with just one hair tie, and have it last through my entire shift. 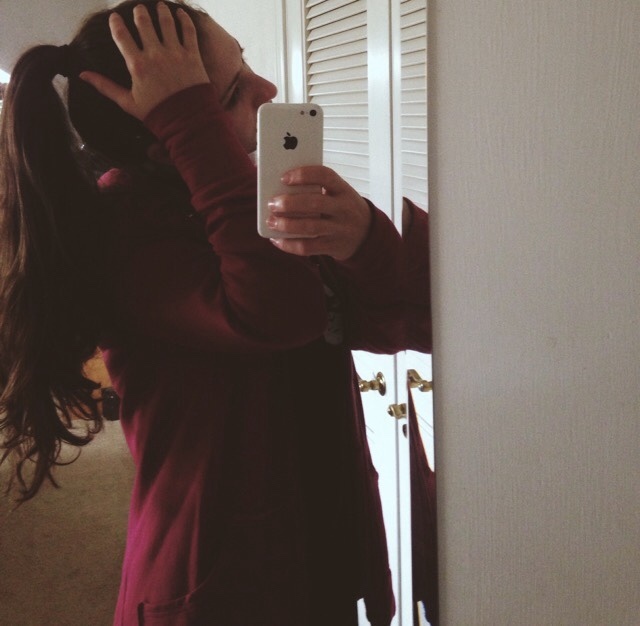 It feels good to have hair ties and bobby pins that I can rely on. I really like the curved bobby pins. I feel that they hold stronger than the straight bobby pins. Having new hair ties and new bobby pins totally ups my hair game! G. Younique Moodstruck Precision Eye Pencil in Perfect. Ladies! This eyeliner! Holy moly! It is so amazing! I find that this eye liner stays all day, with no smudging, and it goes on so easily. It goes on so easy, so quick, and it is perfect. It holds true to it's name. For the longest time, I was using a vegan gel eye liner that would smudge constantly. This eyeliner does not smudge! That is the biggest thing that I was looking for in eyeliners, but a really neat factor about this eye liner is that it is made with jojoba oil, so it is safe to be around my eyes, and it is water proof! Yay! H. Younique Splurge Cream Eye Shadow. 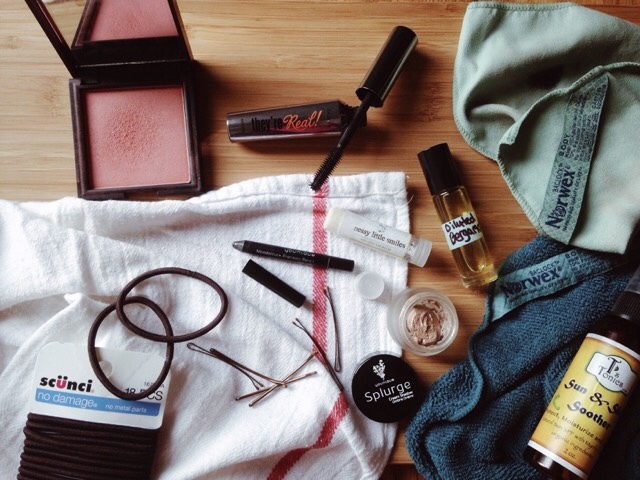 Need to look amazing in a pinch? This cream eye shadow will totally give you the look you want in mere seconds. Younique does not use any harsh chemicals in their products, and so I feel good with putting it on the thin layer of skin above my eyes. My favorite color is Elegant. It is a peachy color that looks good any day! I. Diluted Bergamot Essential Oil Roll On Perfume. I have given up perfume. I don't like the sharp smell of perfume, or the way it gives me headaches. I don't like the idea of putting harsh chemicals on my skin, and having my skin absorb those chemicals into my blood stream. It's not a good idea, so I have found other perfume alternatives. 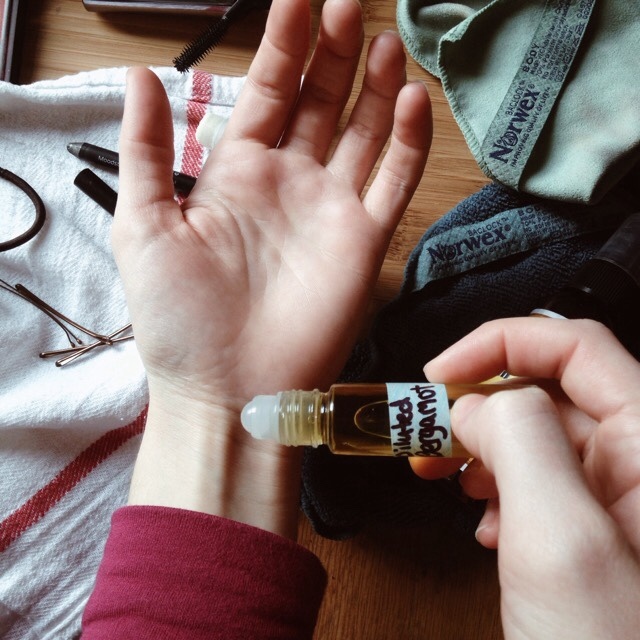 A while back, I made a perfume out of essential oils, and it is still one of my favorites! I made a new scent for myself to wear as perfume, and it really is quite simple: Bergamot essential oil, and coconut oil. Bergamot is such a girly smell. It is such a pretty citrus smell, and the smell is not taken away by the coconut oil, it stays the same! I love this scent for long work days. It keeps me focused, and I love smelling it throughout my longer shifts. J. Norwex Makeup Remover Cloth. Lastly, the amazing makeup remover cloth. I was told by a few people that this was not their favorite product, so I gave it a try, and it ended up being one of my favorites! It is a big part of my beauty routine! All you do is get it wet to activate the silver embedded in the fibers, rub it on your face to get your makeup off, and viola! Also, it uses less water than washing your face, and it helps create less waste because you aren't throwing it away with each use. I love my makeup remover cloth! 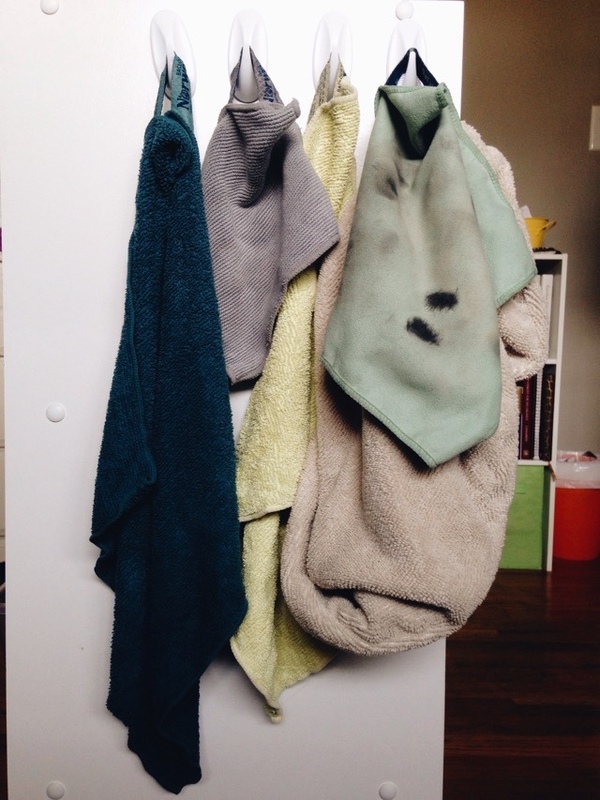 It is so soft on my face, and when it needs to be washed, I just toss it in the washing machine with my other Norwex cloths, and it comes clean! So passionate about these products! All of these products help me create a routine to get my day going. 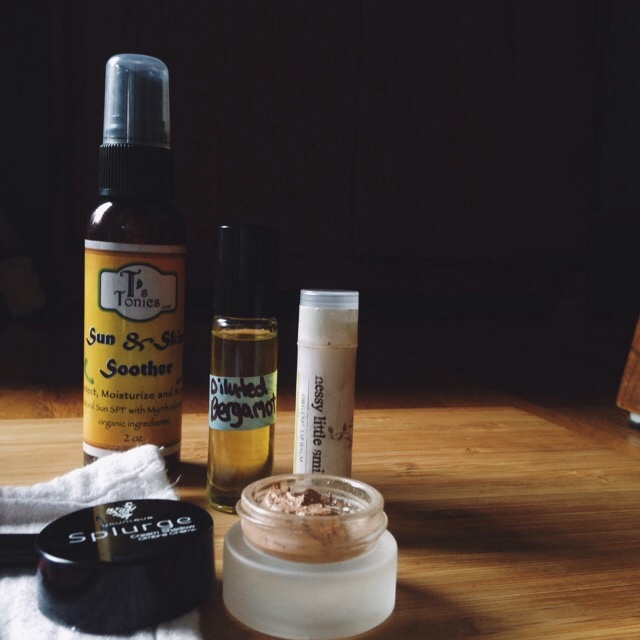 I love using eco-friendly beauty products that are also safe for me to use on my skin. I love creating less waste, and knowing the products that I am using will not lead to cancer later in my life. Thank goodness I switched! I feel so much better about my beauty routine. Stay tuned for the later post about those amazing Norwex cloths if those sparked your interest. I will be blogging more about those later this month, and I will blog about my Norwex party! Very excited! Yay! It is almost Friday! I have a fun post for you ladies tomorrow! Stay tuned!